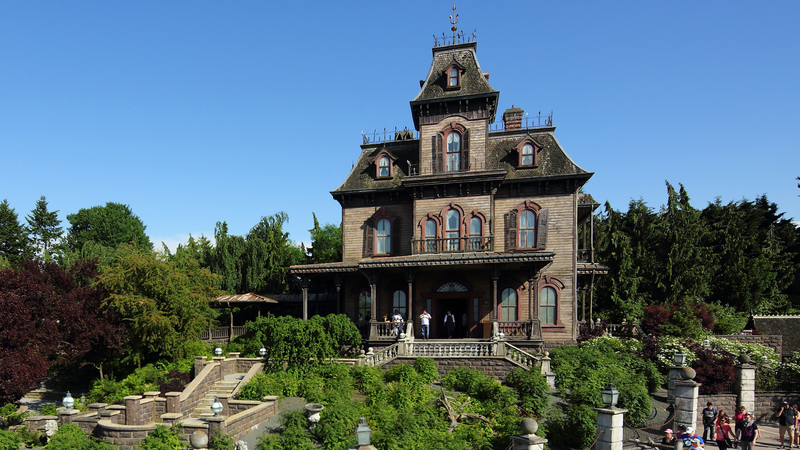 🇬🇧The Ravenswood Manor welcomes you for its reopening night on April, 30th 2019 from 10.45pm to 2am! Free event exclusively for Infinity APs only, by reservation only via the Infinity online platform. Prepare your costumes, get ready to go back in time to join the souls of Thunder Mesa and celebrate this much expected reopening! An access wristband must be picked up at the Disney Village Dome from 9am to 11pm on the day of the event, upon presentation of the confirmation email and your Annual Pass. This access wristband must be presented at the entrance of the event. Shows, animations and services can be modified, delayed or canceled without prior notice. There are also soft openings on May 1st and May 2nd without a reservation, by showing your Annual Pass at the attraction’s entrance. ATTENTION: May 1 is only for Infinty annual passes between 2 pm and 9 pm. And on 2 May for Infinty and Magic Plus between 10 a.m. and 6 p.m.
🇳🇱”The Ravenswood” familie nodigt jaarkaarthouders uit voor de heropening van Phantom Manor tijdens een speciale avond enkele dagen voor de officiële opening op 3 mei. Als jaarkaarthouder van Infinity kan je op 30 april tussen 22:45 en 2:00 uur exclusieve toegang krijgen tot Frontierland in het Disneyland Park voor Big Thunder Mountain en natuurlijk ook Phantom Manor. Voor dit event is een reservatie verplicht en kan gemaakt worden via de infinity annual pass online platform. De registratie kan gemaakt worden vanaf vrijdag 19 april om 11 uur. Polsbandjes zijn af te halen in de Disney Village Dome (naast Mc Donalds) tussen 09 uur en 23 uur. 1 Mei en 2 Mei zijn er soft openingsdagen zonder reservatie op vertoon van je jaarpas aan de attractie.